EA considers the Premium model for other games. Would you pay the price of a new game for a supplementary service? 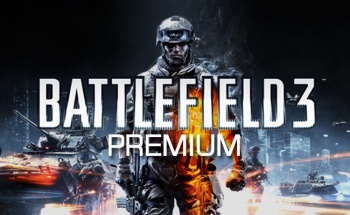 Battlefield 3 players seem happy to do so; EA's Battlefield 3 Premium service now has 800,000 subscribers since its launch two weeks ago. EA executive Patrick Soderlund stated that the package's demand surpassed the company's initial expectations, saying that EA is "very pleased with the performance so far." For an additional $50, gamers can receive early access to every future DLC planned for the game, as well as exclusive in-game items, more detailed statistics, and "Premium-only" double XP events and competitions. Some functions of the service, such as Premium-limited servers and Premium server queue jumping, have been met with some contention in the community, but the rapid uptake shows that gamers are keen on these privileges. Soderlund believes that it is too early to tell if Battlefield 3 Premium is going to pay off in the end, but other EA execs are more optimistic. Frank Gibeau, President of EA Labels, thinks that the Call of Duty Elite-inspired service model can be applied to other games in EA's portfolio. "It's something we'd always been considering and we had been looking at," he says. "We didn't have it ready for launch and it took us some time to get it prepped...if your competitor does something innovative and you think it applies to what you can do, then there's no harm in doing that. "We actually think our Premium service exceeds what Elite does," he continues. "Longer term we think that we can bring more properties into that offering and that'll be great for the business." It seems like other companies are thinking the same way. Services like Elite, Premium, and Rockstar Pass may be the key to keeping modern day titles profitable.